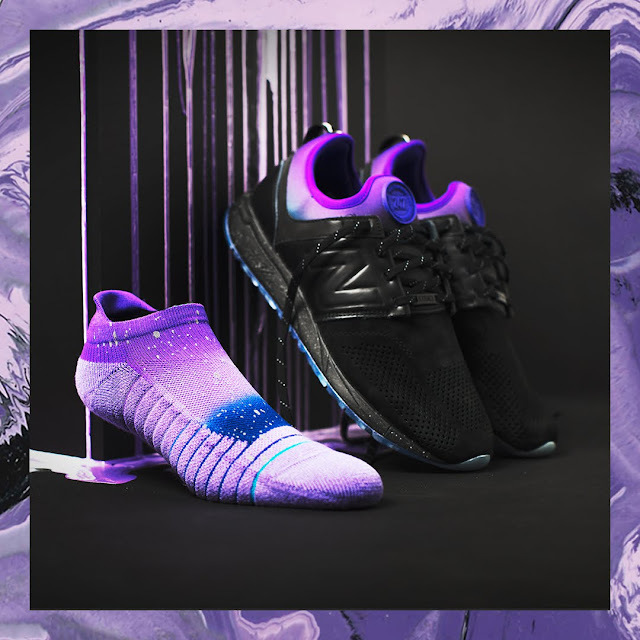 After collaborating for a year, New Balance and Stance are now debuting the “ALL DAY ALL NIGHT” 247, which is paired with coordinating Stance athletic tab socks. 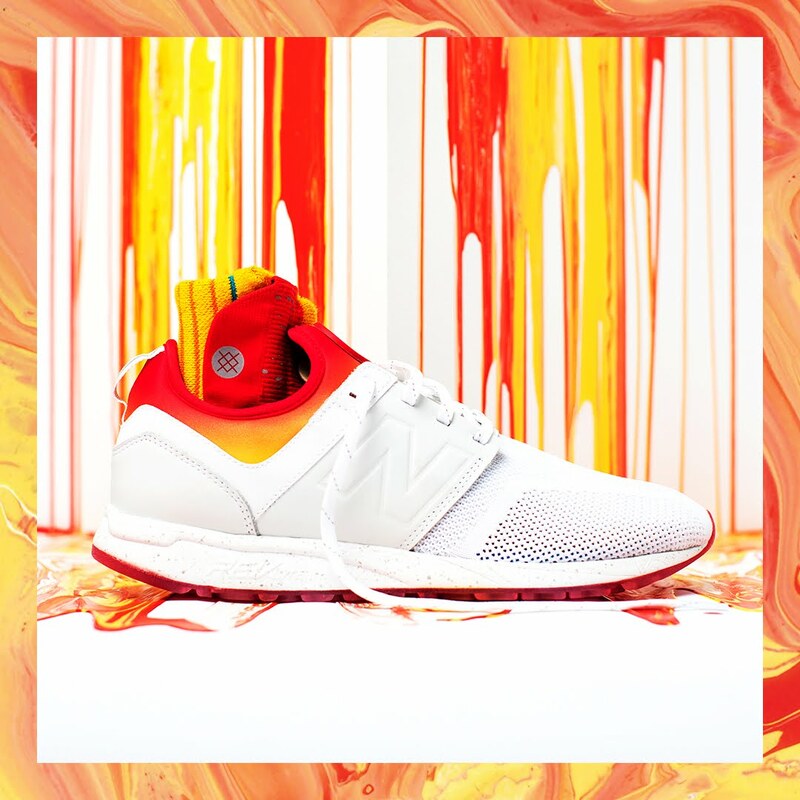 Inspired by the busy lifestyle of people today, the Stance x New Balance 247 pack represents the intersection where sport and life meets. It offers two styles - one for day and one for night - designed with versatility of wear and time-appropriate activities in mind. 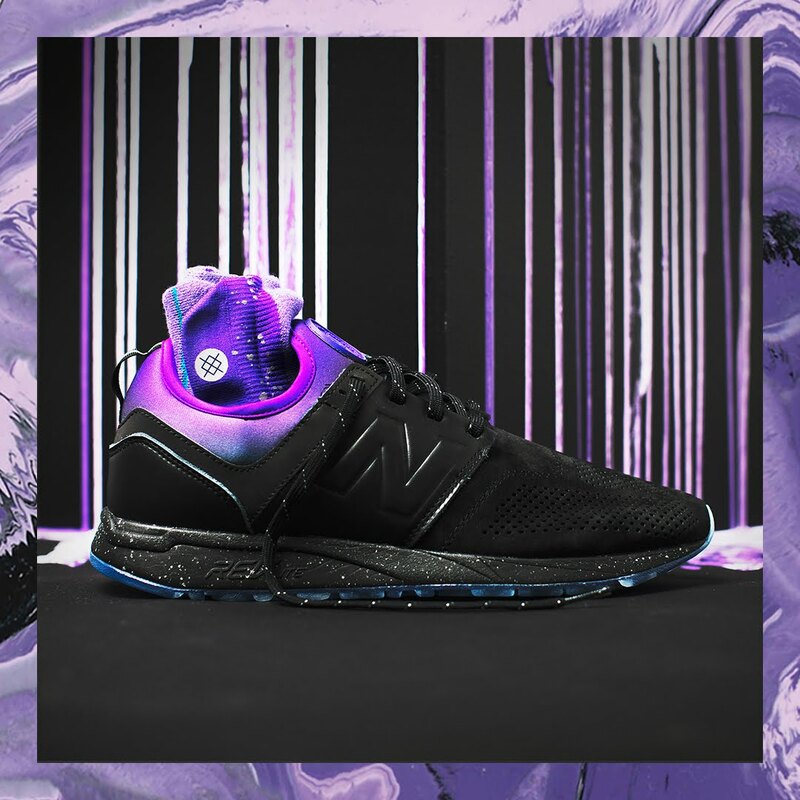 The white Stance x New Balance “ALL DAY ALL NIGHT” 247 has an engineered knit, making it more breathable and giving it a sportier daytime design. It also has a sunrise gradient print on the bootie collar, which I love, and reflective details all around. It also has an “ALL DAY” graphic underneath the translucent outsole and a Stance branded lace keeper. The black Stance x New Balance “ALL DAY ALL NIGHT” 247, on the other hand, is inspired by nighttime and offers a luxe black leather to suit its inspiration. It also has a suede upper with night sky color hits on the bootie collar, which looks absolutely stunning. It also has an “ALL NIGHT” graphic underneath the translucent outsole and a Stance branded lace keeper. 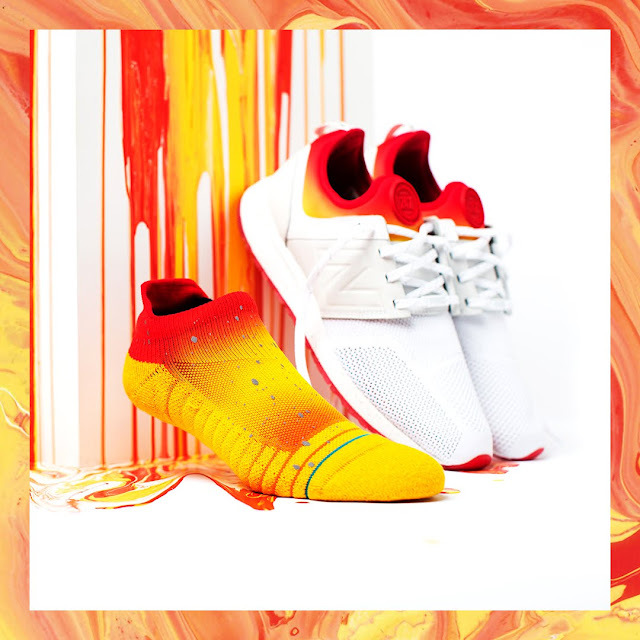 The “ALL DAY ALL NIGHT” pack will be available by August 19 for Php7,995 at Sneakpeek stores in Alabang Town Center and Shangri-La Plaza; in Sole Academy stores in Alabang Town Center, Bonifacio High Street and UP Town Center; and The Athlete’s Foot in Powerplant Mall. For more updates from New Balance and Stance, make sure to like their Facebook pages (@newbalanceph and @stance), and follow them on Instagram (@newbalanceph and @stancesocks) and on Twitter (@newbalanceph and @stance) on Twitter and Facebook. Truckingcube is one of the leading service providers of Bulk Transportation service across the country. Our services are trucking service, logistics, containers etc. We focus on best services and safe moving, cost-effective and hassle free with our transportation services. CNC Turned components and parts manufacture from various materials like stainless steel, aluminium, carbon steel & copper alloy etc.These components are highly precise and have varied end usage.